Patton High ran its win streak to two matches and won for the seventh time in eight matches on Thursday night by beating East Burke 3-0 on the road in a Northwestern Foothills 2A girls’ soccer match. 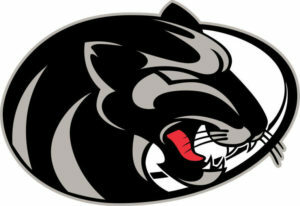 The Panthers (13-4-0, 6-3-0) are in third place in the league, trailing Fred T. Foard and West Iredell. East Burke senior Arianna Hawkins made 18 saves as the Cavs dropped to 2-9-1 overall and 2-6-0 in the league. Patton’s next match is Monday at home, a league battle with West Iredell , and East Burke plays Monday in a conference match at Bunker Hill at 6 p.m.
Aleis Woglemuth had three goals and an assist, leading the Tigers to a conference win on the road that kept them atop the league standings. 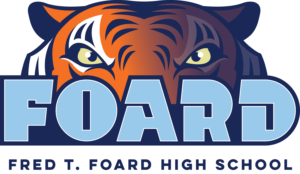 Charity Crutchfield added two goals and an assist and Cameron Ekonomon had two goals and two assists for Foard (13-2-1, 8-0-0). Abby Walker and Ally Knisley each scored once for the Tigers, and Katie Tice added two assists and Abby Ianc, Chloe Sain and Ana Schmidt had one each. Foard’s Jayda Mauser made one save in goal. The Tigers had huge advantages in shots (36-1) and shots on goal (24-1). Foard is at home Friday at 6:30 p.m. for a league match with Hibriten while the Bears travel to play Draughn on Friday in a conference match. West Iredell 13, Draughn 2, 5 inn. Colby McHargue had two hits and drove in four runs, leading the Warriors’ 13-hit attack as they won a conference game on the road. Josh Graham added two hits and two RBIs and Will Godfrey drove in two runs for West Iredell (6-10, 4-6), which is in fifth place. Eli Kitchens allowed only two hits over five innings to gain a win for the Warriors. He walked three and struck out six. Draughn (3-13, 3-6) had four hits, two by Gabe Strickland and one each by Robbie Gibby and Marshall Byrd. Byrd was the losing pitcher, going four innings. He gave up seven hits, six runs (five earned) with three walks and three strikeouts. West Iredell plays at Patton in a league game on Monday at 7 p.m., and the Wildcats are at home on Friday at 7 p.m., battling Bunker Hill in a conference game. Fred T. Foard, led by Jordan Sain’s 75, shot 322 and edged Draughn by three strokes in an 18-hole conference match at Silver Creek. Sam Mace of East Burke was medalist with a 74. The Northwestern Foothills 2A teams play again Monday at River Oaks. Team scores: 1. Fred T. Foard 322; 2. Draughn 325; 3. Patton 335; 4. Hibriten 351; 5. E. Burke 397; 6. W. Iredell 427; 7. Bunker Hill 511. Scores, winning team: Fred T. Foard 322 (Jordan Sain 75, Jay Busic 79, Max Cranford 80, Ben Busic 88, Zach Abernathy 93). Medalist: Sam Mace (EB) 74. Top 10 individuals: 1. Mace (EB) 74; 2. Sain (FTF) 75; 3. Carson Witherspoon (P), Maddox Whittington (H), Ben Leonard (D) 76; 6. Dillon Robinson (D) 77; 7. Tanner Tucker (H), Jay Busic (FTF) 79; 9. Max Cranford (FTF) 80; 10. Zeke Sigmon (D) 83. Top scores, other teams: Justin Dagenhart (WI) 86; Cole Hoover (BH) 110. Current team standings: 1. Draughn 1,840; 2. Fred T. Foard 1,876; 3. Patton 1,901; 4. Hibriten 1,941; 5. E. Burke 2,184; 6. W. Iredell 2,322; 7. Bunker Hill 2,586. Information for the roundup includes reports by: Sabrina Powell, East Burke head girls’ soccer coach; Sophia Elliott, Fred T. Foard girls’ soccer and Andy Hodges, head golf coach at Fred T. Foard.